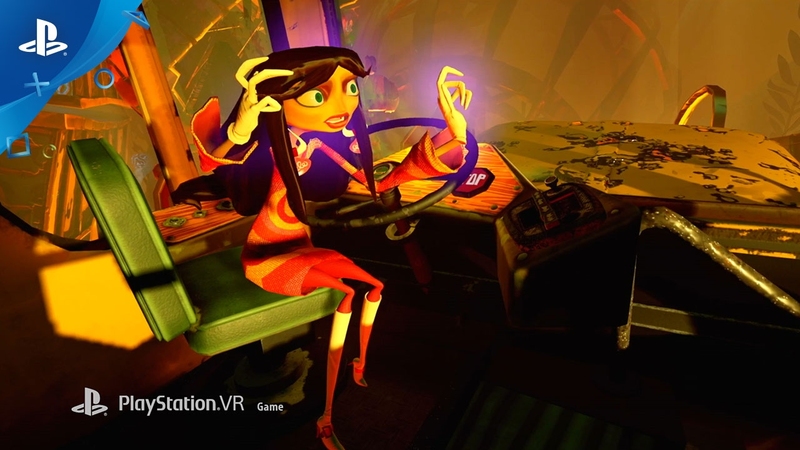 Psychonauts in the Rhombus of Ruin is heading to PlayStation VR on February 21, in a new standalone chapter of the Psychonauts saga that takes us back into their mysterious and paranormal world for the first time in more than ten years. Thanks to a little help from our friends at PlayStation, we’ll be giving everyone who pre-orders Psychonauts in the Rhombus of Ruin the original PS2 Classic Psychonauts, now on PS4, for free! PS Plus subscribers will also receive an additional bonus 10% off the full price of $19.99. The pre-order starts today, so you can get your free copy of Psychonauts! Then on February 21 you’ll be all caught up and ready to embark on a daring rescue mission straight into the heart of the Rhombus of Ruin — a mysterious part of the ocean as deadly as two Bermuda Triangles back to back. I’m liking the price. How long is an average play through of the game? I saw one preview that said it’s about 3-4 hours. An average playthrough without a guide will take 10-12 hours. A completionist run took me about 30 hours. So, if u have PS Plus it’s only approximately $17.99 and u get the PS2 on PS4 version of the original Psychonauts free? Extremely tempting. A couple questions that will influence my decision of whether or not to buy..
Did u utilize the PS4 Pro’s enhanced capabilities for Rhombus of Ruin? Will there be a Pro patch? Does Rhombus of Ruin feature a platinum trophy? Is Rhombus of Ruin playable only on PSVR? If there is no Pro patch will boost mode improve performance? Did Tim Schafer or Lee Petty have any involvement in Rhombus of Ruin? Love those guys. Will there ever be a physical version of Rhombus of Ruin? Are you confident that Rhombus of Ruin is a good VR game? That is a great deal! Thanks. Just purchased and looking forward to playing both! I just tried to preorder but am again having problems with the Store. I changed the CC being used from the default, and then it asked for the security code. I entered it. It told me I was wrong. I checked, and it was asking for the security code for the *wrong card*—it was asking for the code from the default card instead. Frustrating, but whatever. I enter the code for THAT card. It’s still telling me I’m wrong. Forget it, I’ll try PayPal. Nope, my account is already locked so I won’t be able to purchase anything for at least a few days. What is wrong with the web store? I have issues like this all the time. I’m excited that DF is supporting PSVR. I absolutely love my PSVR, but it will help my decision and help me influence others to buy if u answer my questions above. I would have loved a dynamic theme or something considering I already bought Psychonauts but oh well still grabbing anything PSVR related at the moment. Resident Evil made me realize that I’m starved for good VR content. I played through the whole thing in VR and loved it. Hey guys, this is just a warning to those interested im getting the original game. The port for PS4 is unplayable. There is a substantial amount of lag (graphical and input lag). This has been documented in forums around the web. I love double fine but this is not something that should have passed QA. The audio DOES NOT sync with the animations at all. Theres a massive lag. So all cut scenes are garbage.. Audio sometimes cuts out completely.. The game is a buggy mess. Do not waste your time with Psychonauts for ps4. Unplayable my foot. And iirc, these are issues on PS2 anyway. Hopefully 2 rectifies the wonkiness of the original. Wish it was physical too. At least a limited release or something, don’t even have PS VR but would buy it anyway at retail. Not doing that for PSN only. Glad there’s more Psychonauts either way. The PS2 version of Pyschonauts is a complete mess. You would think that they would port the vastly superior PC version for PS4. Nope! Definitely wait for reviews for Rhombus of Ruin. Double Fine is notorious for making games that are fun and innovative for the first five minutes. Despite people who clamor about their titles, most have been huge commercial flops and for good reason.